It was disappointing to see recent figures from the United Kingdom showing that household food waste is on the rise again (although per capita waste is still roughly constant). The UK became a world leader in curbing food waste when, from 2007 to 2012, its households cut the amount of edible food they threw away by 21 percent. 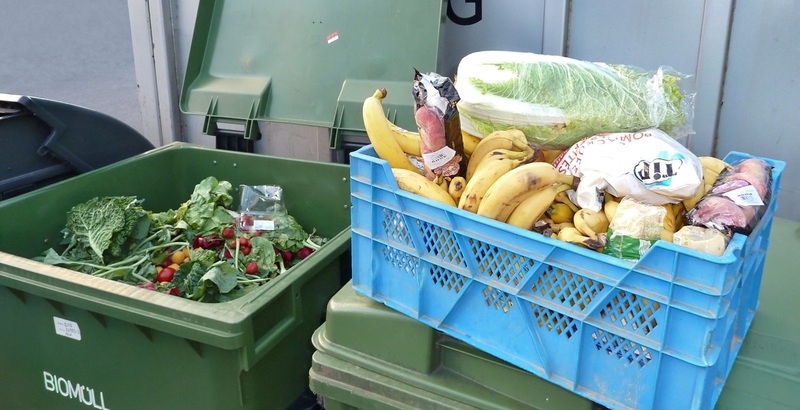 This was the result of a government-funded initiative that combined a consumer-facing campaign and a voluntary agreement involving major retailers and brands to help consumers reduce household food waste. But since 2012, progress has stalled, and it now looks as though waste might start going back up. In addition, the European Union Court of Auditors released a report earlier this month that found approximately 88 million tons of food are still lost or wasted in the EU each year. Perhaps even more concerning is that with no further action, that figure is expected to rise to 126 million tons by 2020. How can this be? The topic of food loss and waste has risen in public consciousness in recent years, which would lead one to believe that progress is being made. These figures also raise the question of how achievable a reduction of 50 percent might be – which is what Sustainable Development Goal Target 12.3 aims for, and what the European Parliament is considering as a target as well. So we must ask: Is a 50 percent reduction achievable, and is it a target we could aim for in the UK and globally? Looking at the analysis available, I remain convinced that we can achieve a 50 percent reduction in food waste, despite this recent slowing of progress. First, we need to understand where the 50 percent reduction will come from. Much of the progress achieved in the UK so far has probably come from low-hanging fruit – with retailers and the campaign providing tips to the most receptive households, who are aware of the issue and want to do something about it. Most households change their food buying, use and waste behaviors to what the “best in class” households do today. This includes better planning, such as writing a shopping list and planning meals in advance; a better understanding of date labels, such as the differences between labels like “sell by” and “use by;” and better skills in terms of cooking, portion sizes and using up leftovers. Retailers and brands improve pack sizes and flexibility. This can mean packs with a single portion, and packs that can be split for use on more than one occasion. Retailers and brands improve guidance on storage and offer tips on use of food and leftovers. Technical advances ensure food can be kept for longer. This can include elements like modified air content within a pack to help food last longer, or sealing and re-sealing technologies. It’s clear from this list that we all have a role to play – as individuals, retailers, manufacturers and governments. Achieving them is going to be hard. Especially in the case of individual behavior change, we need to think about what and how we teach our children, so the next generation understands the value of food and knows how to cook and use it. We also need to think about the current adult population and find ways of making it easy for people to make the best use they can of the food they buy. Additionally, this analysis only considers those parts of the world where most food is lost or wasted toward the consumer end of the supply chain. In other parts of the world where more food is lost closer to the farm or market due to damage during storage or distribution, different interventions will be needed. During the World Wars, when food was scarce, people took care to waste as little as possible. My mother, who grew up during WWII, knows the value of food, and I see her consciously trying to avoid wasting anything. But surely we don’t need something as catastrophic as war to teach us not to waste food. Indeed, there is so much evidence on the many benefits of reducing food loss and waste. Preventing perfectly edible food from going to waste can help feed millions of undernourished people – today, some 800 million people don’t have enough food. Reducing food loss and waste can also save billions of dollars — $940 billion drains from the global economy every year because of food that’s produced and never eaten. 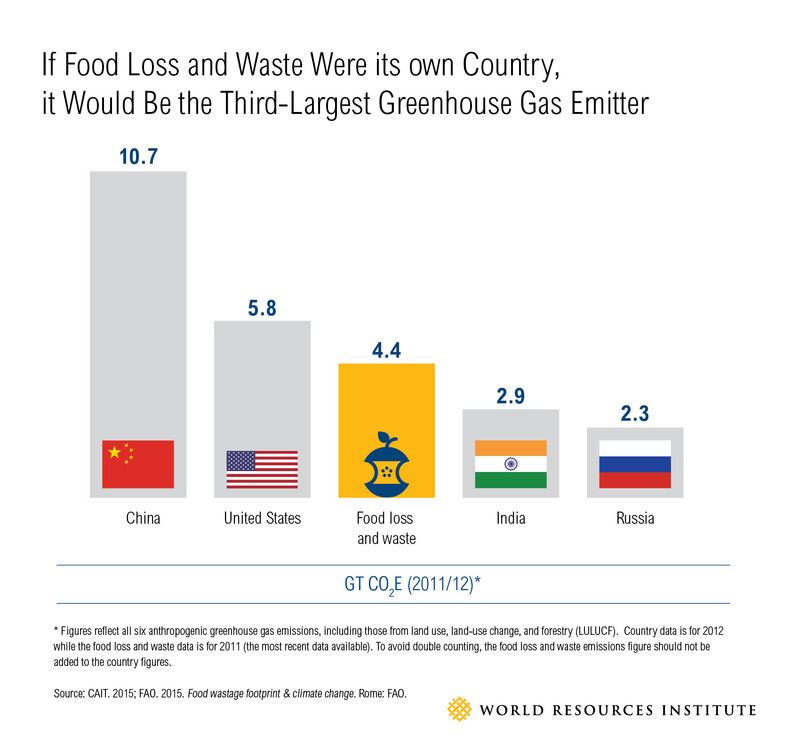 There’s also the fact that reducing food loss and waste will cut methane emissions and contribute to climate action. We mustn’t be put off by the disappointing figures from the UK and Europe. These numbers just show how much progress still needs to be made, and what opportunity remains. We must continue to push ahead and try to reduce food waste through every avenue possible. This post originally appeared on WRI Insights. Brian Lipinski also contributed to this blog.